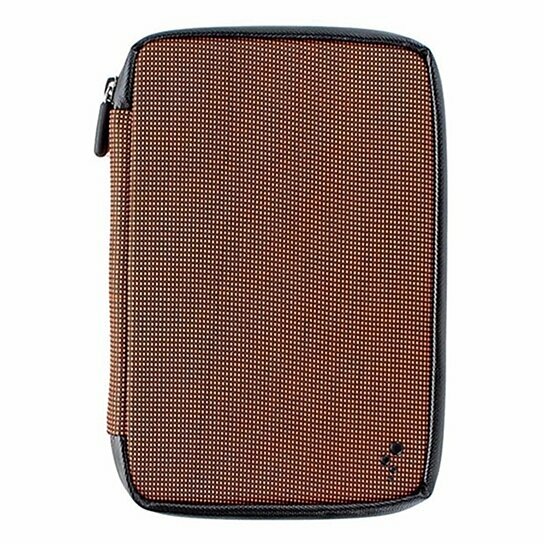 M-Edge products, Universal Sport Sleeve Case for 7" inch Tablets. Orange and Black ballistic nylon material. GripTrack technology provides multiple stand positions. MultiFit silicone mount fits most 7" inch devices. High quality zipper closure.